1969 Chevrolet Nova Called The Blacktop Outlaw Enters The 8 Seconds Club With An 8.97 1/4 Mile Pass At 150.23 MPH! - Muscle Cars Zone! 1969 Chevrolet Nova Called The Blacktop Outlaw Enters The 8 Seconds Club With An 8.97 1/4 Mile Pass At 150.23 MPH! When it comes to drag racing cars, the 1969 Chevrolet Nova sure is a power not to be reckoned with! With only a couple of modifications, this car can be transformed into a real killah on the drag track! And when you take in mind that it has the same sub frame as a Camaro, you`ll know that it can accept the complete line of Chevy engines. Meaning, the 1969 Chevrolet Nova is open to all kinds of modifications! This time we show you a very special 1969 Chevrolet Nova which the owner named The Blacktop Outlaw! A rad name for a rad car! The owner is a great enthusiast indeed. His name is Dylan Cassell and together with his father Jesse Petas, they did an extraordinary work on this amazing Chevy Nova. We have written previously about this special Chevy Nova when Dylan Cassell entered the 9 second club at a ¼ mile. Back then, he managed to do a 9.07 at 147 mph! However, this time we come with even greater tidings from his latest ventures! This time we are more than happy to announce that Dylan Cassell`s 1969 Chevrolet Nova called The Blacktop Outlaw managed to enter the 8 seconds club! 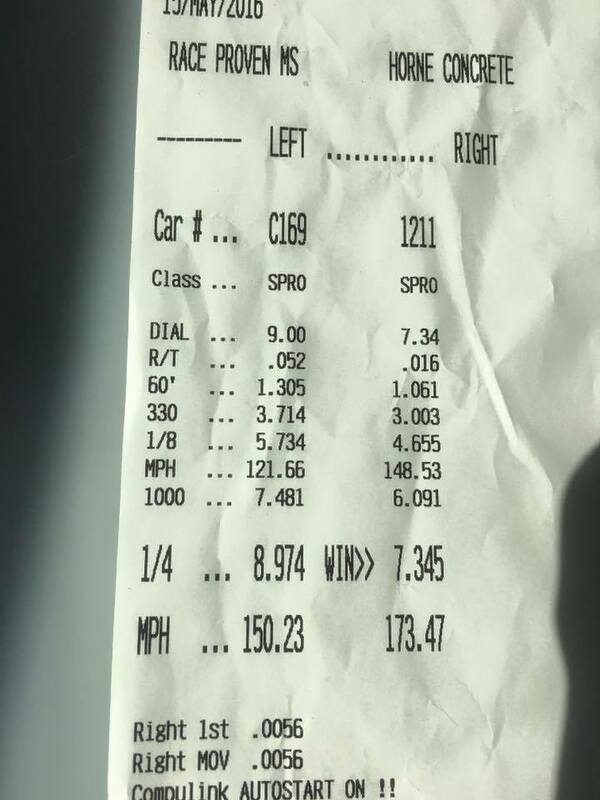 Dylan Cassell’s 69 Nova entered the 8 seconds club with fascinating 8.97 second time at 150.23 mph! Now, we don`t know what exactly they changed to further enhance this amazing 1969 Chevrolet Nova but they sure did an astounding job! They made out of The Blacktop Outlaw a very mean machine. A real piece of American machinery that everyone should dread on the dragstrip! And, we are always happy when independent constructors like Dylan Cassell & Jesse Petas can bring us something extraordinary like The Blacktop Outlaw. It takes a lot of sweat and managing finances. In one word DEDICATION to the full extent! Make sure to check out the video below, and bask at The Blacktop Outlaw`s ULTIMATE power! Finally, if you want to see an interesting Chevy Nova shot at the Pigeon Forge Rod Run, follow this link!